Derived from certified renewable wood sources using an eco-responsible production process which meets high environmental standards, LENZING™ ECOVERO™ fibers are tailored to a sustainable lifestyle, contributing to a cleaner environment. The introduction of LENZING™ ECOVERO™ branded Viscose fibers marks the newest achievement in Lenzing’s sustainability journey. LENZING™ ECOVERO™ branded fibers offer customers eco-responsible Viscose fibers with low environmental impact based on three pillars. LENZING™ ECOVERO™ fibers are derived from sustainable wood and pulp, coming from certified and controlled sources following the stringent guidelines of the Lenzing Wood and Pulp Policy. LENZING™ ECOVERO™ fibers have been certified with the EU Ecolabel, a label of environmental excellence awarded to products and services meeting stringent sustainability requirements throughout their life-cycle: from raw material extraction to production, distribution and disposal. LENZING™ ECOVERO™ fibers can be robustly identified in the final product, assuring users that it contains genuine ECOVERO™ fibers. The manufacturing of LENZING™ ECOVERO™ fibers generates up to 50% lower emissions and water impact compared to generic viscose. CO2 emissions and fossil resource usage are approximately half that of the industry average. These results were calculated using the Higg Material Sustainability Index (Higg MSI) tools provided by the Sustainable Apparel Coalition, which assess the impacts of materials from cradle-to-gate for a finished material (e.g. to the point at which the materials are ready to be assembled into a product). However, the results show impacts from cradle to fiber production gate. ECOVEROTM branded Viscose fibers' Higg MSI score was calculated based on Lenzing fibers, which are already in the Higg MSI..
ECOVERO™ fibers are produced using pulp, which is derived from the renewable resource wood as raw material. Lenzing purchases wood from responsibly managed forests. FSC®(C041246) and PEFC™ certifications prove that the material is delivered from sustainable sources. The 2017 Hot Button Report of the Canadian non-profit organization Canopy ranked Lenzing as one of the best performing viscose producers worldwide for its sustainable wood and pulp sourcing practices. Lenzing was ranked in the high “light green shirt” category, indicating that there is a very low risk of sourcing wood from ancient and endangered forests when using LENZING™ fibers. Manufactured only from certified and controlled wood sources and produced with significantly lower fossil energy use and water than generic viscose, LENZING™ ECOVERO™ branded Viscose fibers are certified with the internationally recognized EU Ecolabel. 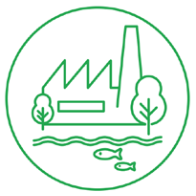 This label of environmental excellence is only awarded to products and services which have a significantly lower environmental impact throughout their lifecycle: from raw material extraction to production, distribution and disposal. A special manufacturing system enables LENZING™ ECOVERO™ branded Viscose fibers to be identified in the final product, even after long textile processing and conversion steps through the value chain. Thus retailers and brands are assured that they are incorporating genuine LENZING™ ECOVERO™ eco-responsible Viscose in their products. Lenzing offers an extensive marketing service package for LENZING™ ECOVERO™ fibers as part of Lenzing’s Branding & Licensing Program. Fabrics containing LENZING™ ECOVERO™ fibers can be certified at our in-house certification centers in Europe and Asia.